The Ferrari Packaging Lowland League fixture against Hawick Royal Albert which was originally scheduled for tomorrow has been postponed due to snow. We will update with the re-scheduled date as soon as possible. Vale’s squad has been boosted by three additions ahead of the derby against Gala Fairydean Rovers, and Chris Anderson is hoping increased competition for places can help them kick on in 2017. The signings of midfielder Andy Martin, defender Craig McBride and a loan deal for Hibs youngster Ali Smith have been completed and all three go into the squad for Saturday’s match, after the former two featured last weekend. A thin squad has been tested to the limit over the last few months with the subs bench looking very thin in some matches, forcing the manager to move to strengthen his hand. And he is hopeful that bulking his squad with the addition of quality will be the catalyst for a return to form after a poor run. He said: “It’s a new year and we are certainly looking ahead to what we can achieve in 2017. For the first time in a long while we have a squad available to choose from and we also welcome some new signings into our match day squad. The 5-1 victory over Hawick Royal Albert on Hogmanay has elevated Gala ahead of Vale for the first time this season, and they are now the highest positioned Borders team in 11th. 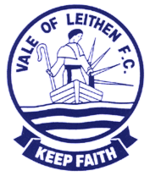 Results on the whole have been up and down with highlights including the derby wins over Hawick and Vale, a 3-2 victory over Spartans and a 3-1 Scottish Cup triumph over the Highland League’s Fraserburgh, earning a plum tie against Elgin City. However, there was the ignominy of a 10-1 thrashing by East Stirlingshire and a 7-1 reverse against Selkirk, a deficit which Vale can of course now empathise with. Andy Martin is convinced he and his new Vale team-mates can quickly shoot back up the Lowland League table. The midfielder has signed on for a second spell at the club after leaving Whitehill Welfare and joins a team in the middle of a sticky patch. His second debut resulted in a 6-0 defeat at the hands of bottom of the league Selkirk, but he remains convinced that he has made the right choice in re-joining the club. Having initially made the short move from Peebles Rovers in 2008, his first spell lasted four years and he was part of the squad which won promotion to the East of Scotland Premier Division in 2009-10. He now feels he is part of a squad which can make some waves of their own. “I have only had a couple of training sessions and I feel the recent form doesn’t reflect the talent we have in the squad. “I would say top six would be a great platform to kick on to next season but I don’t see any reason why we can’t do even better. “The gaffer spoke about hard work, sticking together and rolling the sleeves up and I’m sure if we can do that the results will come. Every team goes through rough spells and it’s the teams that stick together and work hard that get through them”, said Martin. The Whitehill side he left behind due to work commitments are three league places and four points better off than Vale with two games in hand. Chris Anderson managed to talk him into making a return to Victoria Park and he had no hesitation in moving to a team lower down the table. He explained: “I had a great four seasons with Whitehill, meeting some really good people and managed to win several trophies along the way. But with work commitments and various other things I started questioning myself and if I had the appetite to keep playing. The club are delighted to announce the signings of Andy Martin, Craig McBride and Ali Smith. Martin (pictured at top of page) re-joins after a successful spell between 2008 and 2012 during which the club won promotion to the East of Scotland Premier Division. McBride is back in the country having enjoyed a spell playing for Davenport University in the United States, while Smith has signed a loan deal from parent club Hibernian. There is further good news in the shape of Blair Atkinson and Brad Raiker extending their loans from Spartans until the end of the season. Chris Anderson said of his new recruits: “We are delighted to welcome back Andy Martin who has signed from Whitehill. “Andy was a popular player in his last spell at Vale and we are excited to see what he can bring this time around. “Craig McBride has also been added after a spell playing in America and will add competition in defence.